After spending a few days participating in the 2017 CCAP dig I went to visit the lab where the artifacts are cleaned, sorted and tagged. 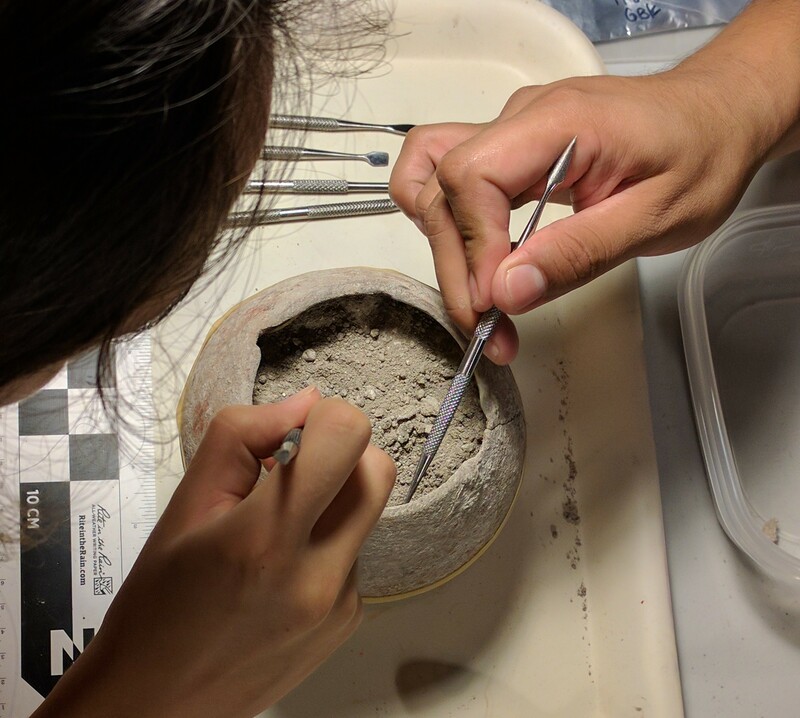 While Phil and I were doing the most basic work, Tomás and Mnemo were carefully cleaning out a burial pot that had been found in the chamber next to our new unit. Using dental implements and small wooden sculpture tools, they were essentially repeating the process that we’d begun in our unit a few days earlier – carefully excavating the packed earth layer by layer – albeit in miniature. In the case of our unit, the expectation was to find fragments of pottery and stone tools (as well as the raw material used to make them). In the case of the pot, it was more likely to find seeds or other organic matter, such as cocoa. Sampling of the earthen residue has been sent for testing, and we look forward to hearing the results. 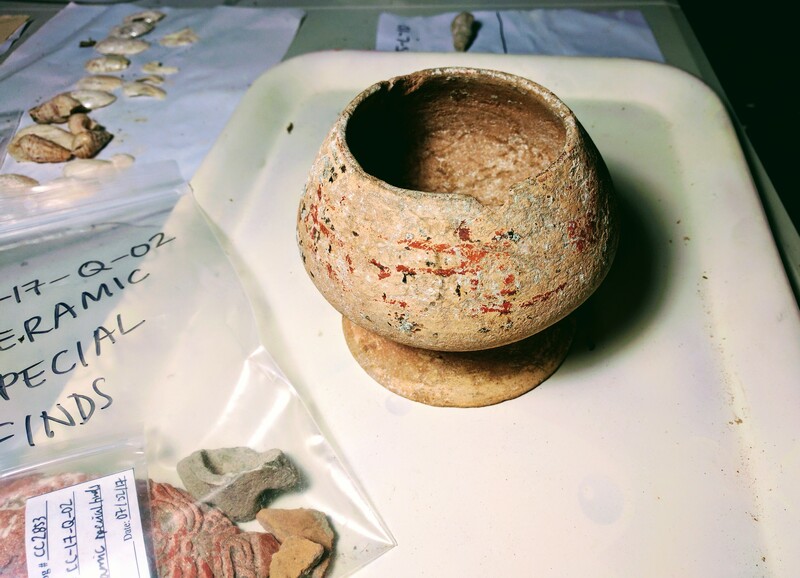 Two ceramic specialists will join the CCAP team in the coming days, but Dr. Houk’s educated guess is that the pot dates from approximately 250-300 A.D., which to a layperson like myself is an exciting find! More details to come about the chamber they’re excavating!